On October 25th- 27th, CEED Kosova organized a study visit in Plovdiv, Bulgaria. The purpose of this study was to learn from experienced food-processing companies in Bulgaria about launching new products and improving already existing one. They also had the chance to get more information about the food industry of Bulgaria and to learn more about the best practices that successful Bulgarian companies have established throughout the years. The group visited Konex-Tiva Canning, a food-processing company that produces more than 60 different products such as spreads and dips, vegetable caponatas (ratatouille), marinated vegetables, jams and different pasta sauces. 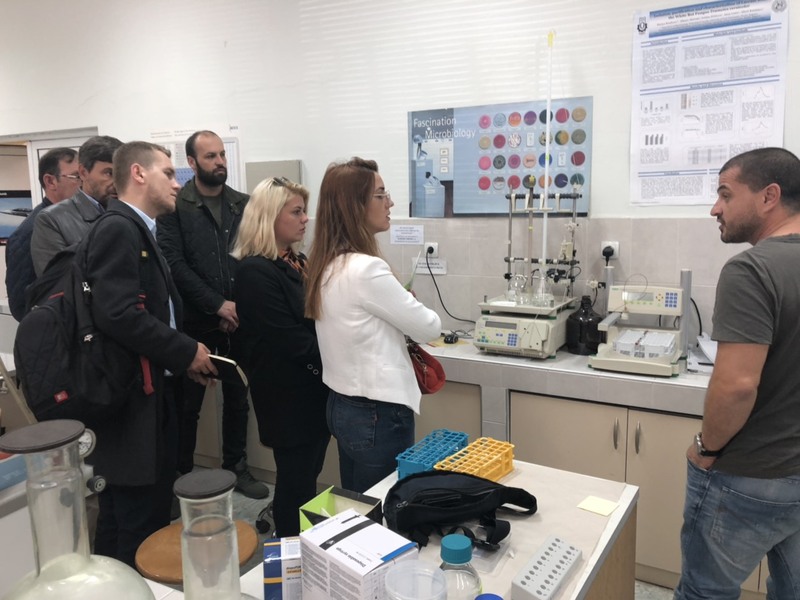 The group also had the chance to visit Plovdiv University for Food Technologies where they learned about different research projects they conduct in food-processing industry as well as explore the possibilities this university offers for Kosovo companies in terms of capacity building for food technologists in the food-processing industry. This study visit is part of Coaching for Growth project, supported by PPSE Program Swisscontact and implemented by CEED Kosova.